Home » Blog » What is a Good Debt-to-Income Ratio? So, what is the magic number for determining whether your debt-to-income ratio is high or low? Unfortunately, the answer varies based on a specific lending institution’s requirements and what kind of loan you are applying for. Each sets its own threshold, and these institutions don’t often publish that number. Further, those numbers can be quite different when mortgages and housing expenses are involved. Credit counseling agency Clearpoint offers three levels of personal debt DTI ratios that you can use to gauge your debt-to-income ratio. Remember, these numbers do not include housing expenses. Tier 1 — 15 percent or less. With a DTI ratio of less than 15 percent, borrowers are properly managing their expenses and are in a good position to take on more debt or absorb an unexpected expense. Lenders will be more apt to loan them the amount they are requesting. Tier 2 — 15 to 20 percent. Borrowers in this tier are sustaining their monthly payments but are in danger of overextending themselves, and a new recurring expense will likely stress their ability to meet monthly payment obligations. Lenders may loan you money in this range, but you will not likely receive the amount you are requesting. Tier 3 — 20 percent or more. At this level, lenders assume borrowers have more debt than they can cover and are definitely not in a position to take on more. 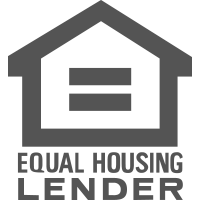 Lenders will not likely loan you money if you fall into this category. The front-end ratio is how much you spend in home expenses each month (monthly mortgage payment, insurance, property taxes, homeowners association fees) divided by your monthly gross income. Jean Folger, founder of trading and investing software company PowerZone Trading, says when housing is factored in lenders typically like to see DTI ratios smaller than 36 percent (back-end ratio), with no more than 28 percent of that debt going toward household expenses (front-end ratio). What would those numbers look like in practice? Well, let’s say your gross monthly income is $5,000 (that’s an annual salary of $60,000). A back-end ratio of 36 percent would equal $1,800. If your monthly housing costs, monthly credit card debt, student loan payments and any other debts add up to less than $1,800, you would pass Folger’s test. Knowing your debt-to-income ratio and where it is in relation to typical benchmarks can help eliminate surprises when you apply for a loan. The knowledge also puts you in a position to be able to reduce your DTI ratio if it lands on the higher side. If you need to calculate your DTI visit Nerd Wallet for a DTI calculator.